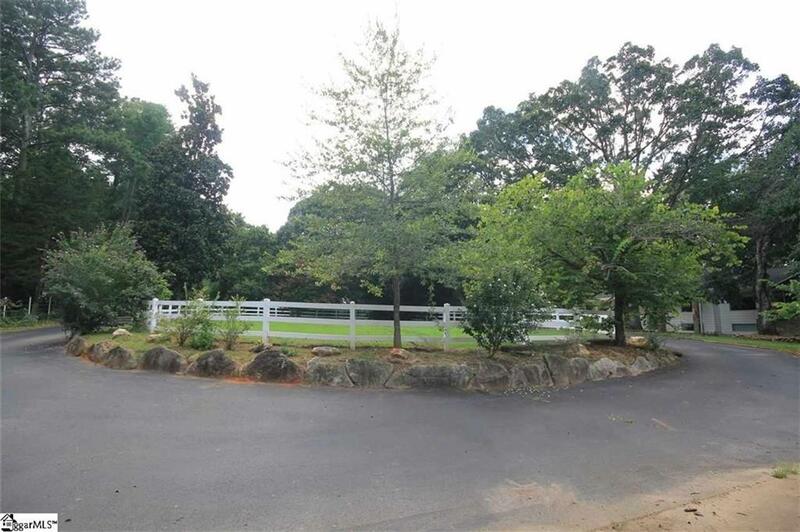 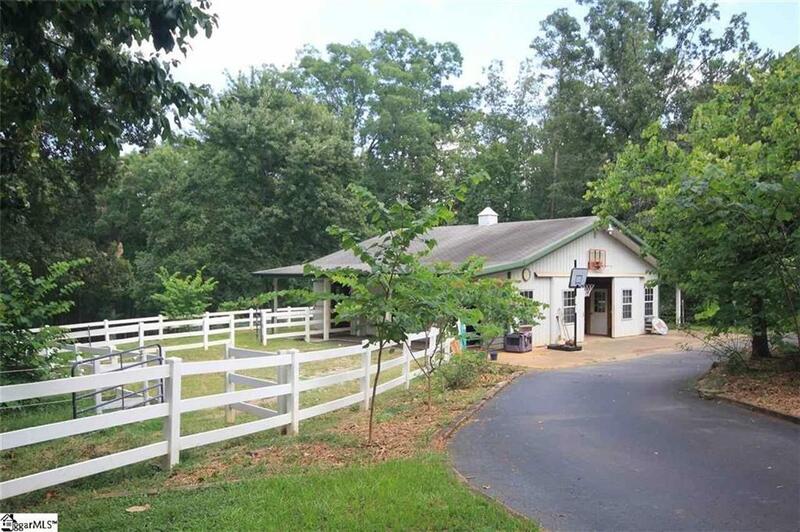 Beautiful gated 15 acre equestrian property, complete with garage/shop which is temperature controlled, machine ready and featuries 220 volt electrical service. 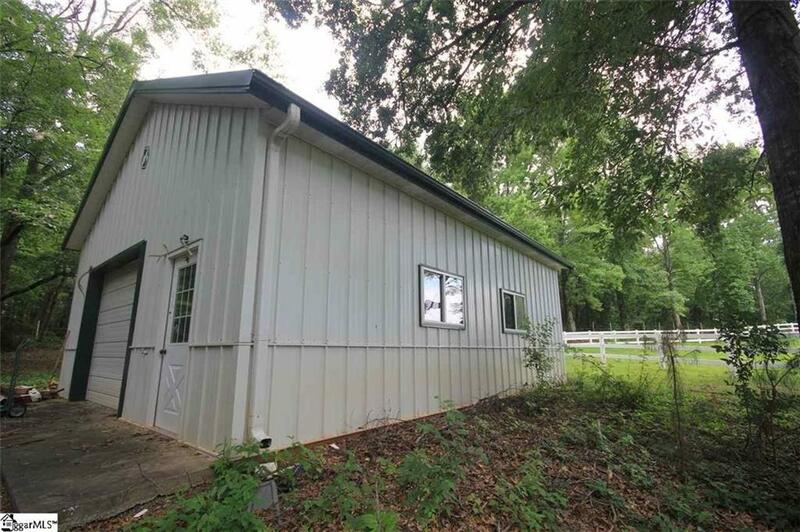 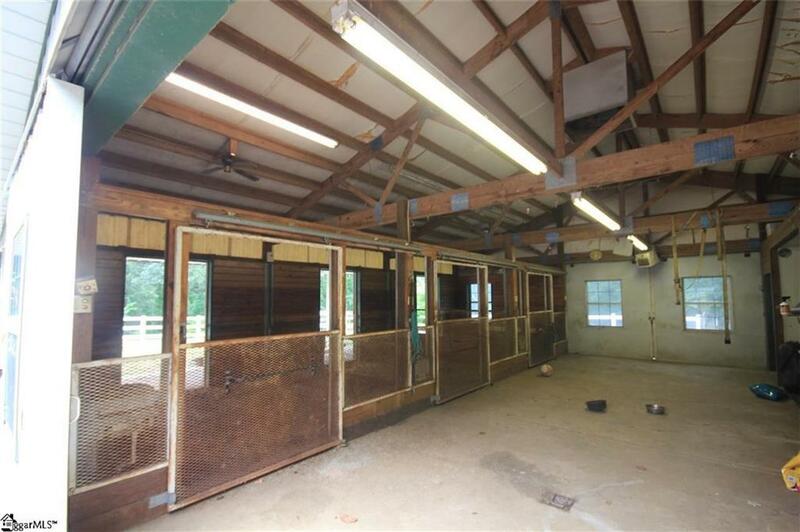 The property is fully fenced and the three stall stable has a cedar tack room, wash stall and office. 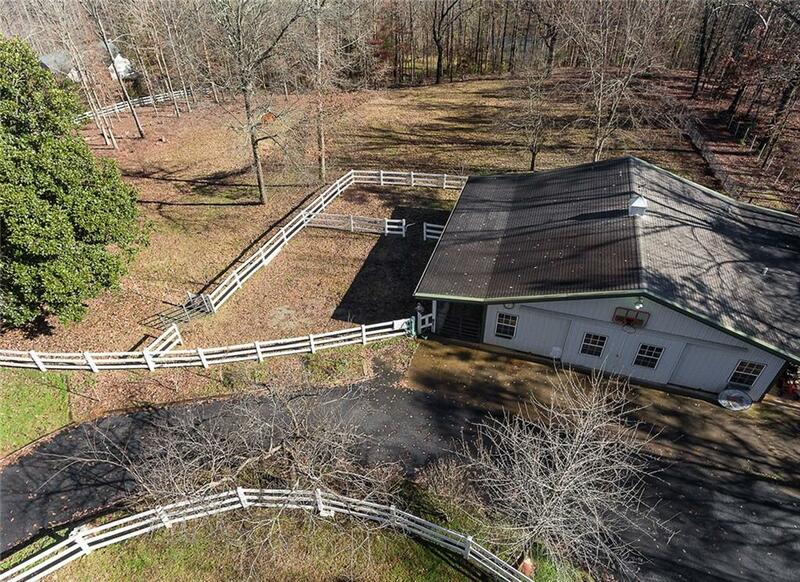 The stable leads directly out to the 3 acre paddock. 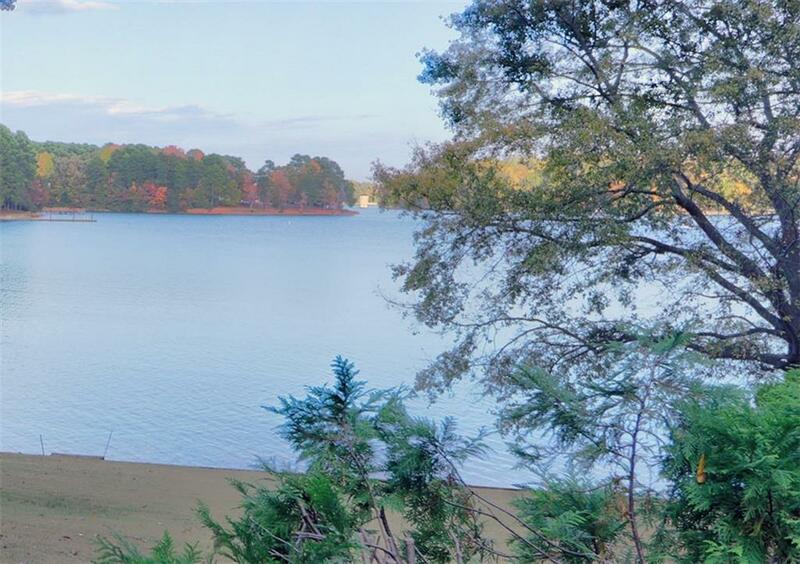 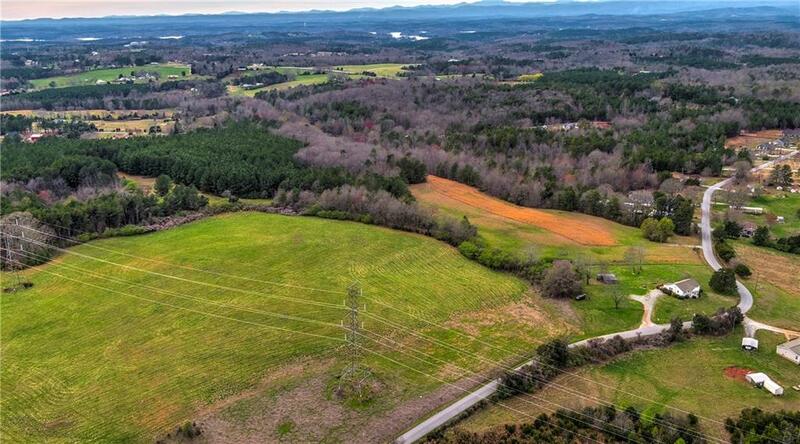 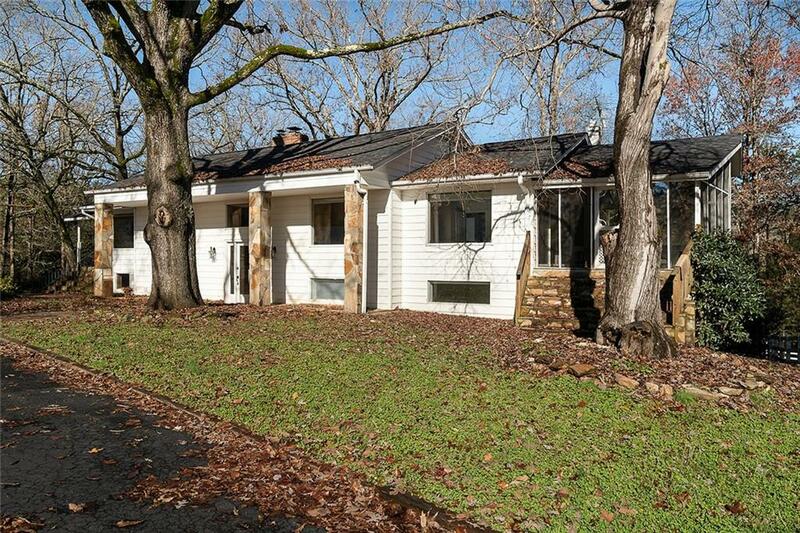 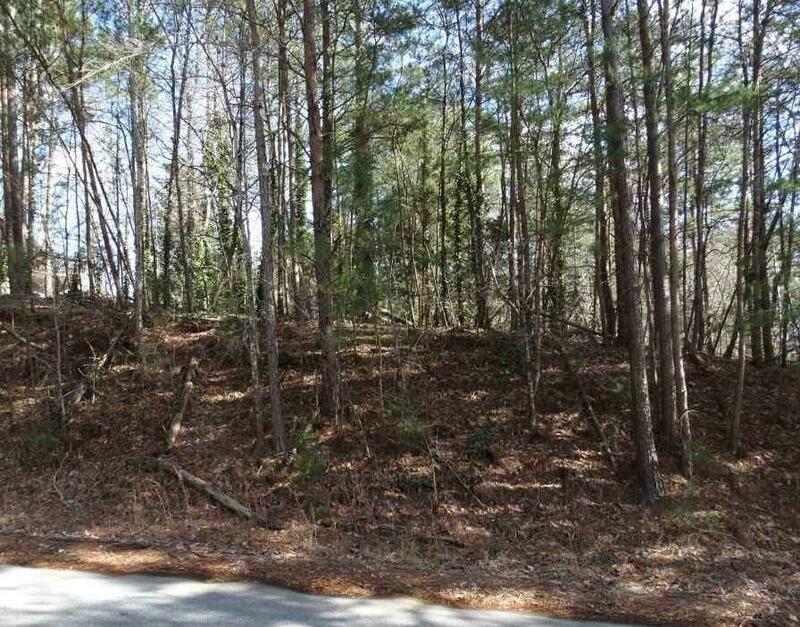 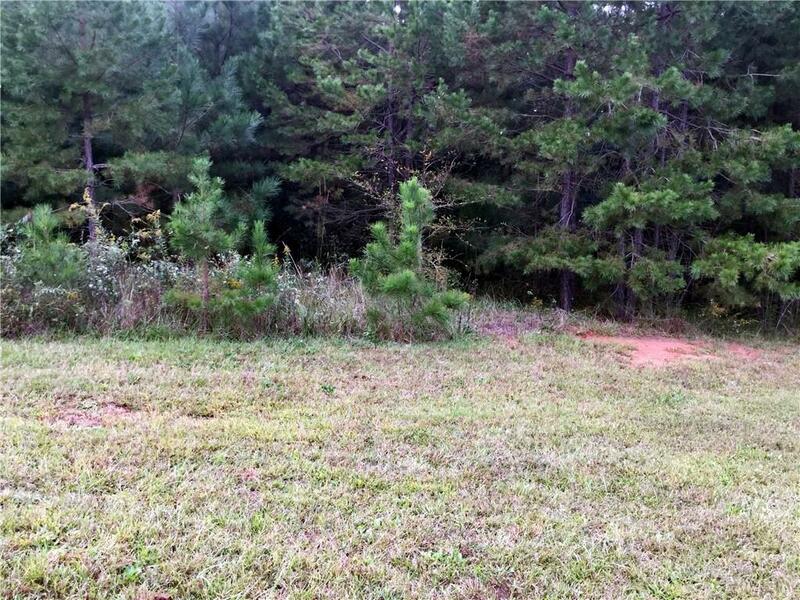 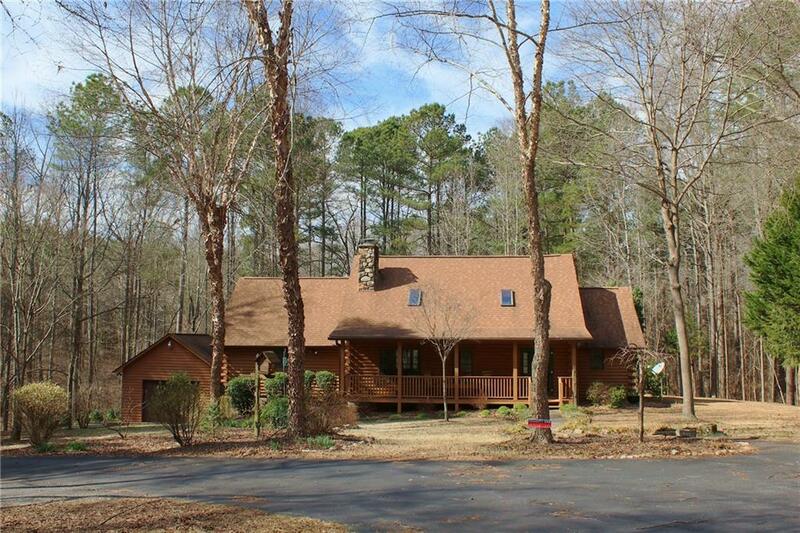 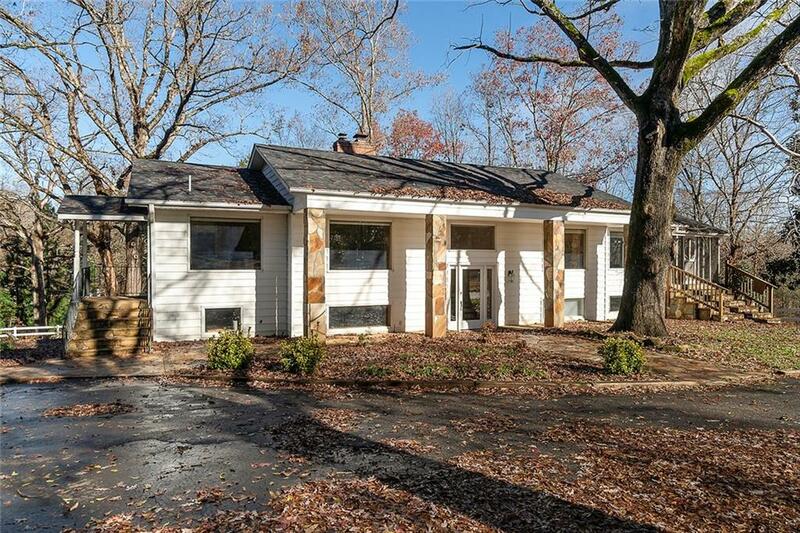 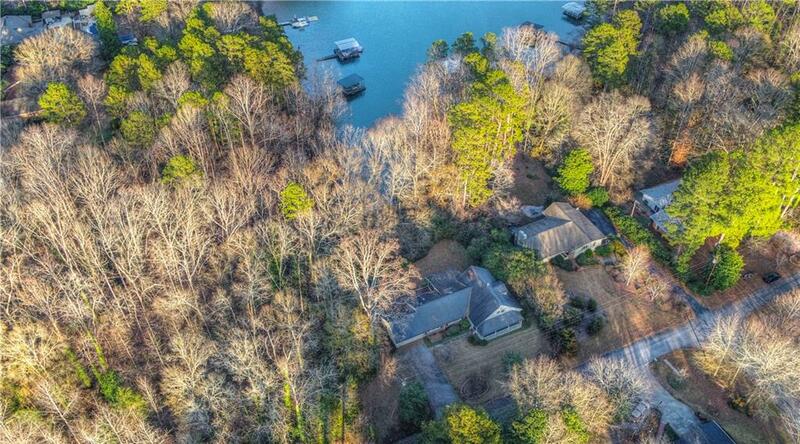 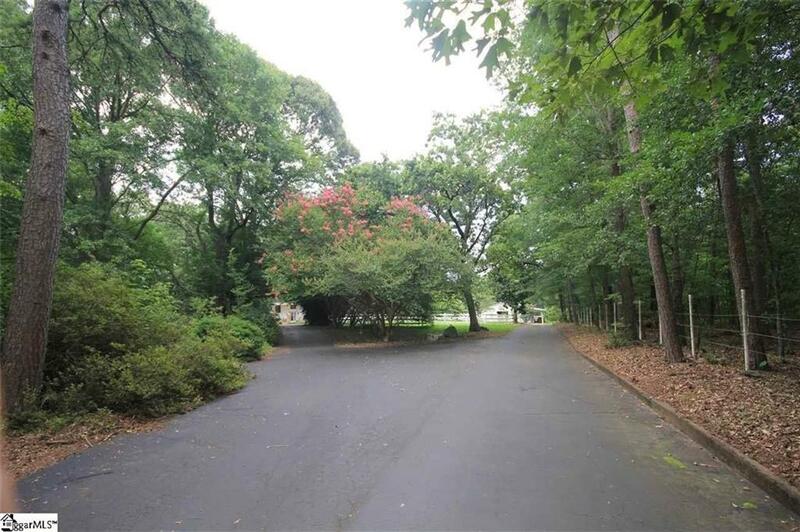 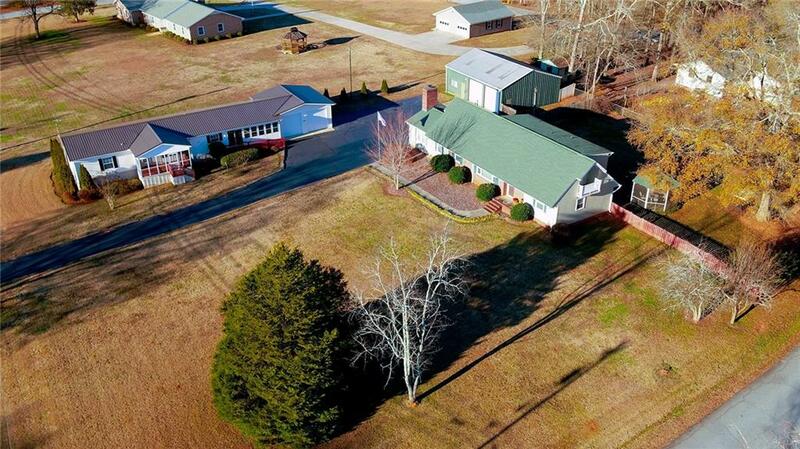 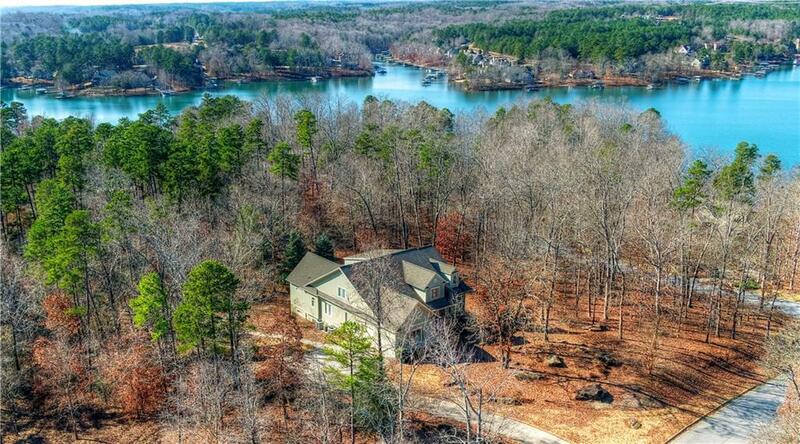 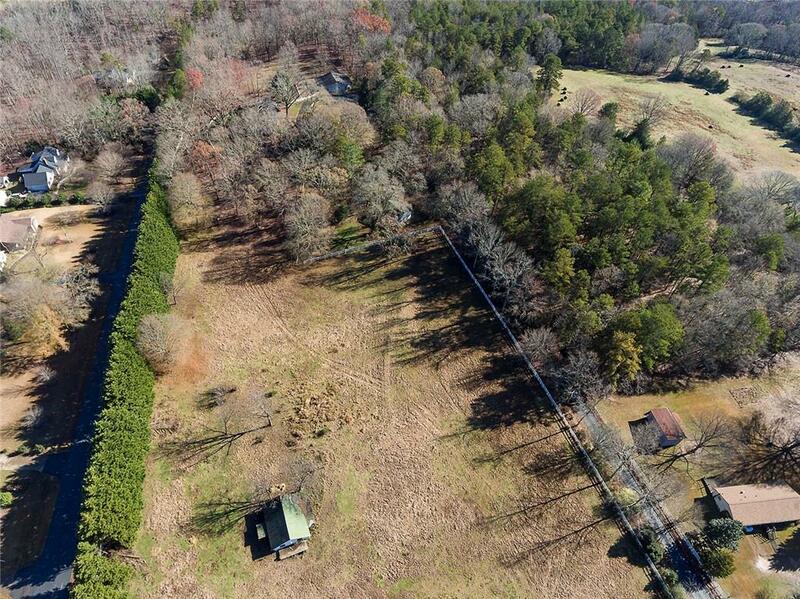 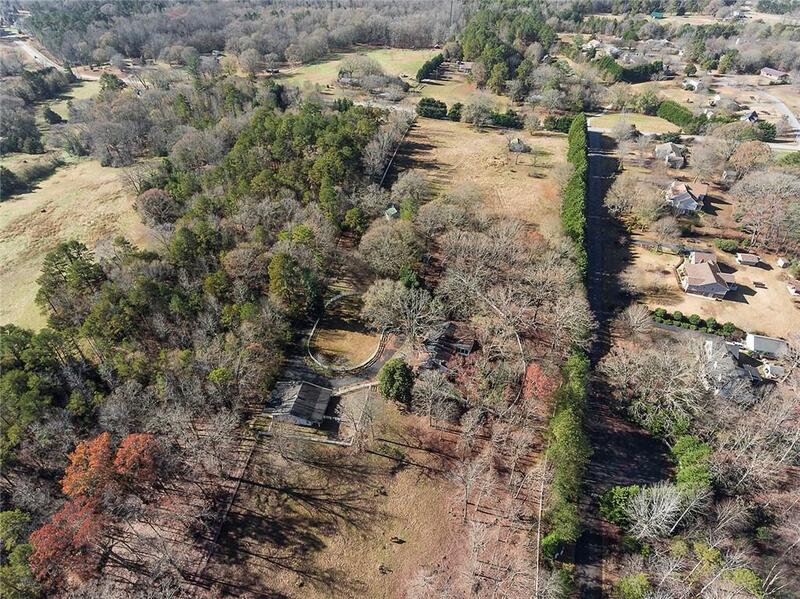 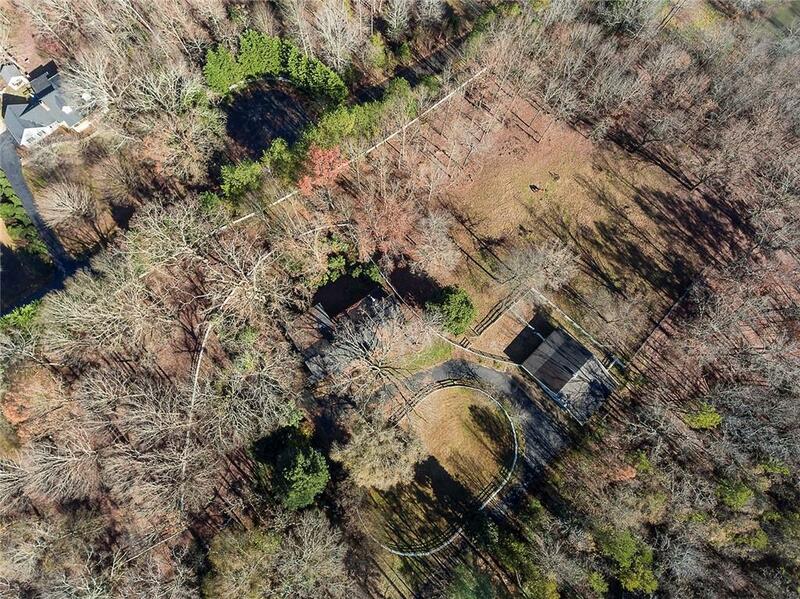 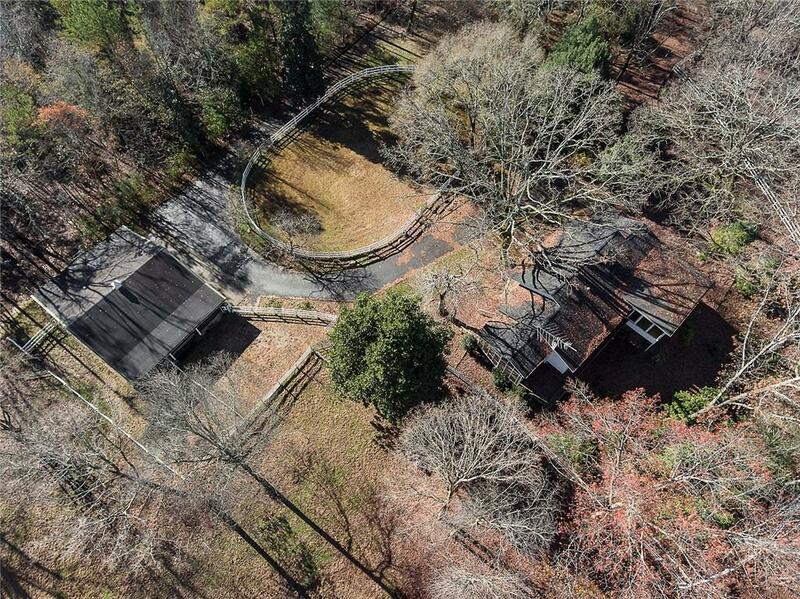 The front of the property has an 8 acre pasture, the rear acerage features a 1/4 acre spring fed pond surrounded by dense woods, which the current owner has partially harvested. 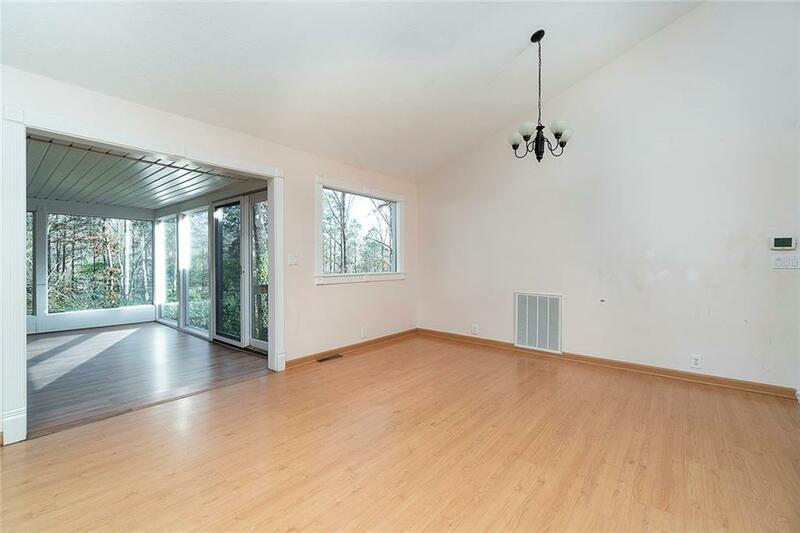 The home has a very open floor plan which lends a light and airy feel to the upper level, which has entirely wood-laminate flooring. 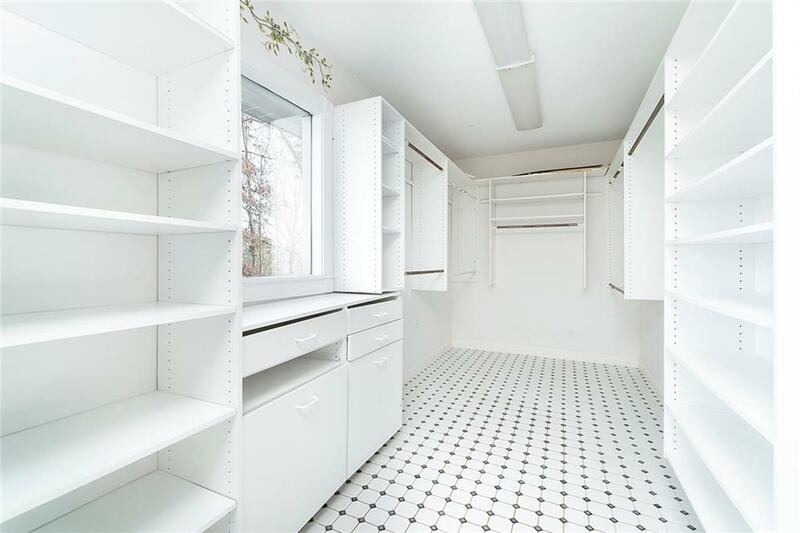 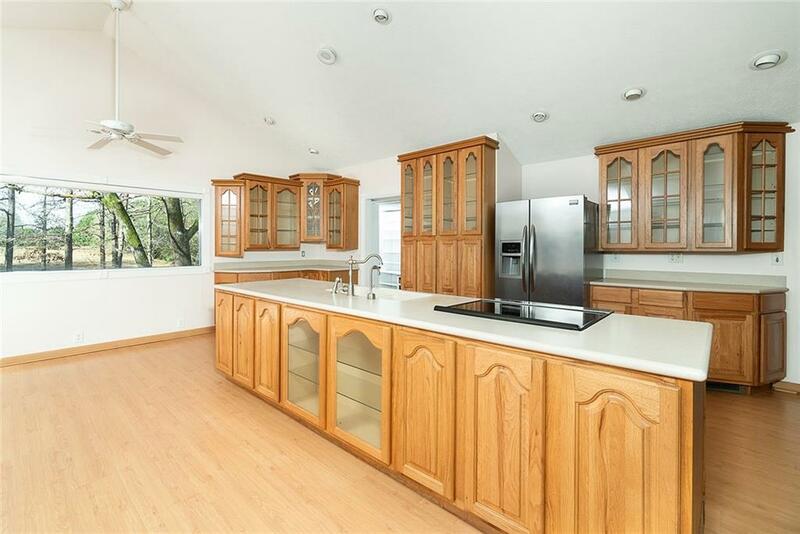 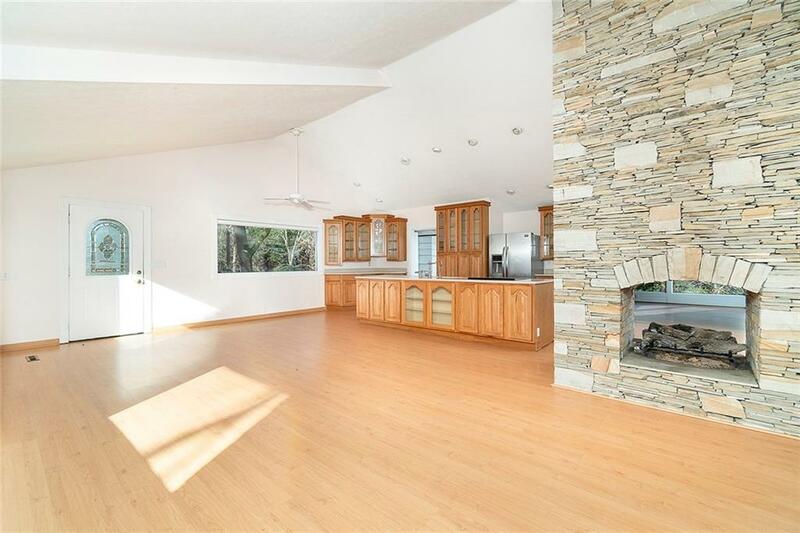 The large kitchen, surrounded by oak cabinetry, opens to the family living/dining area. 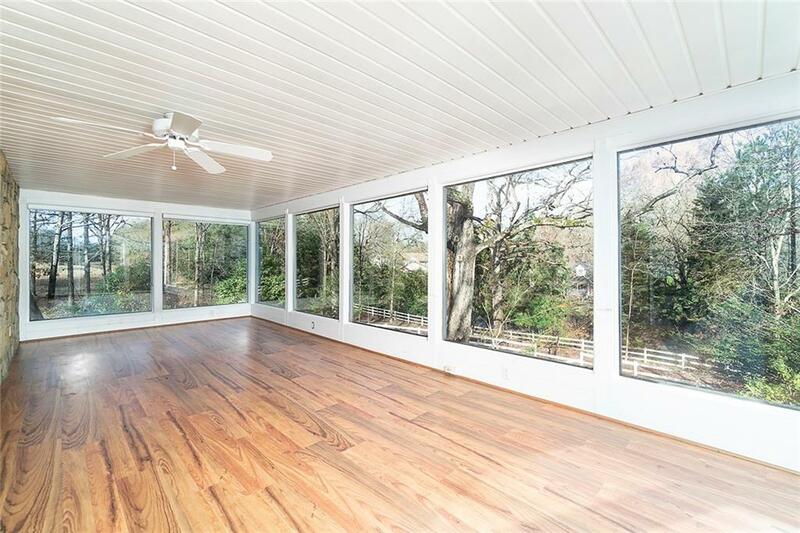 Here youre surrounded by four large windows whose views are expansive. 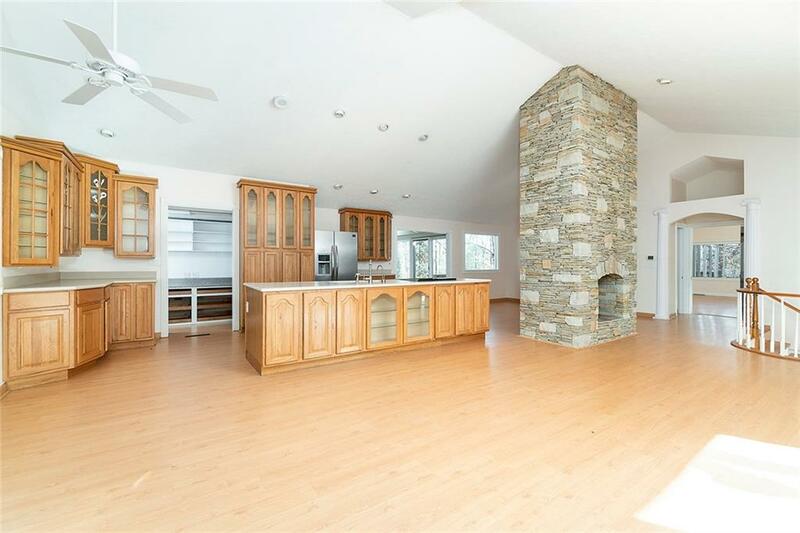 A stone floor to ceiling gas fireplace divides the living area from the more formal corner dining area. 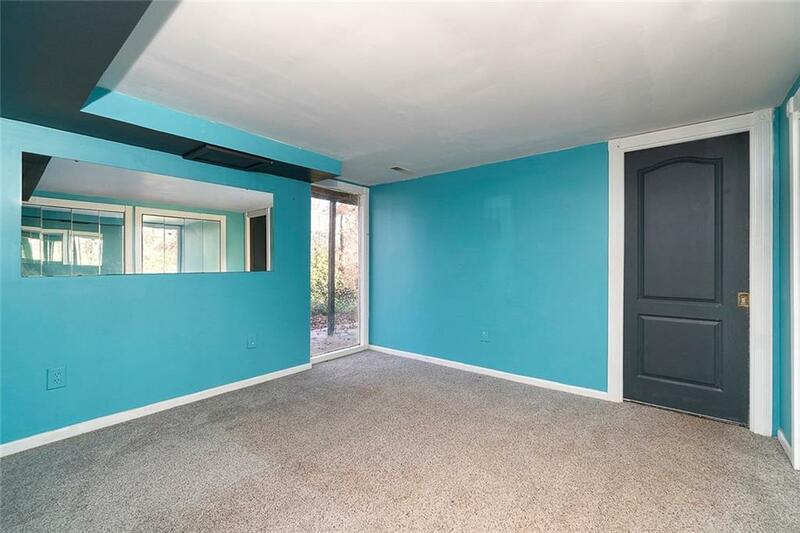 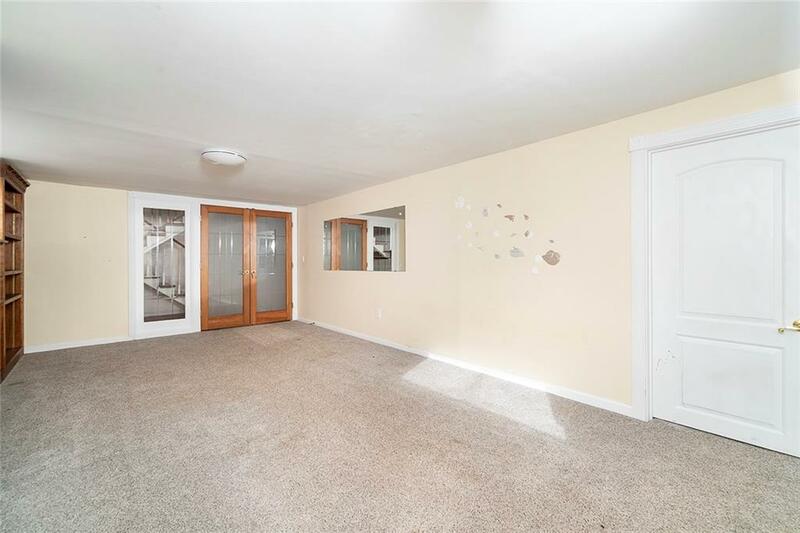 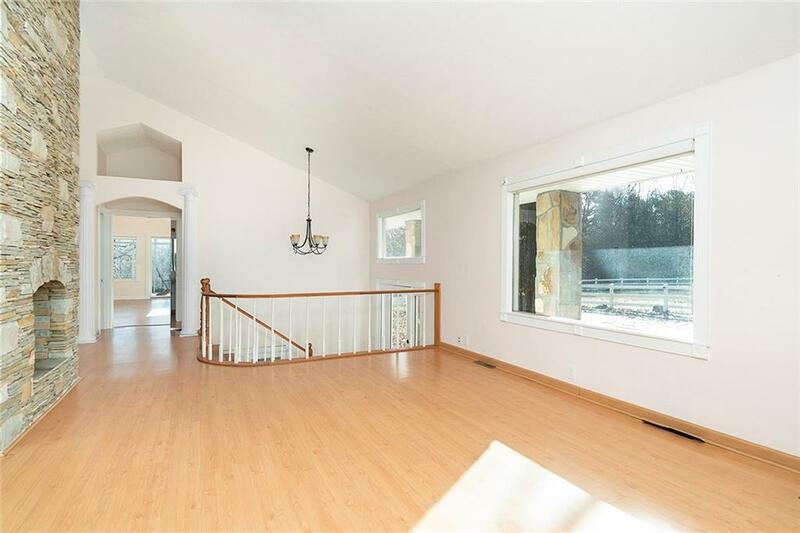 This leads to the sun-room, a window enclosed family-entertainment-music-play room. 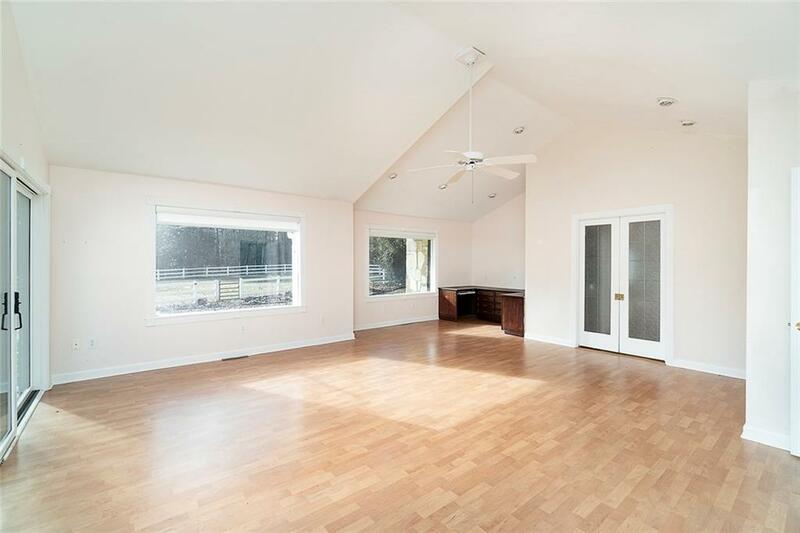 The other half of the upper level is devoted to the master suite. 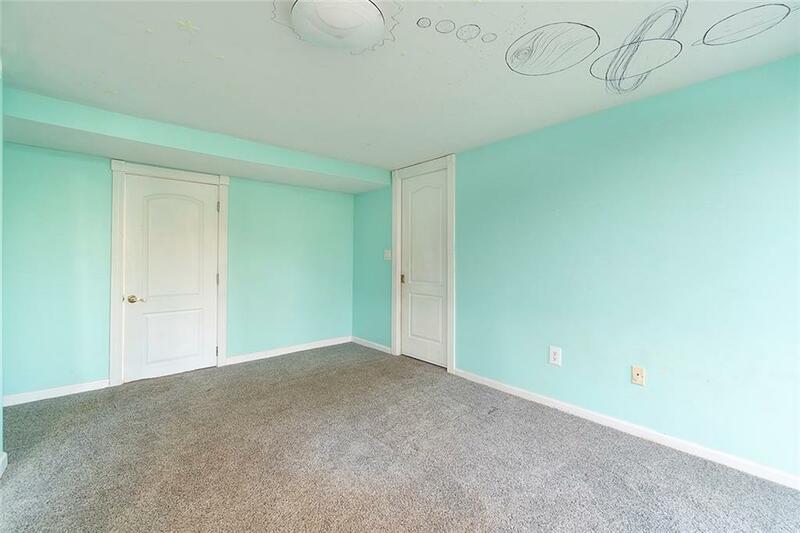 This large room has a corner office and a master-bath, walk-in closet combo. 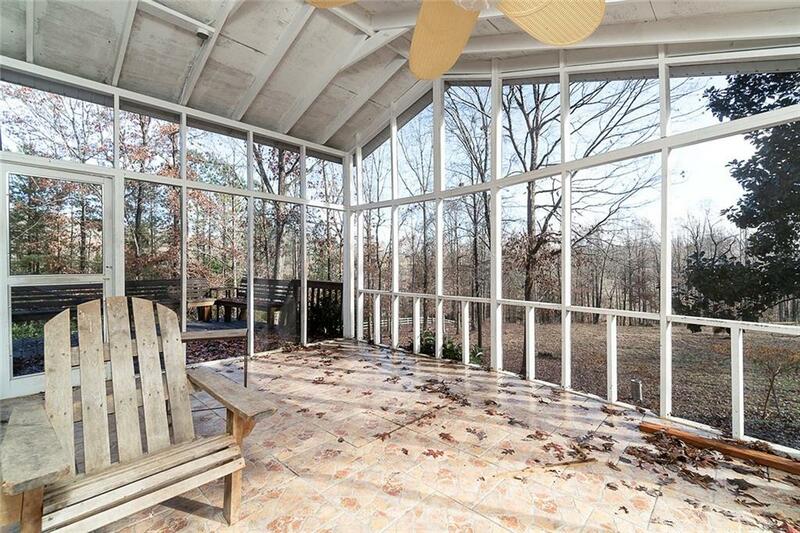 More picture windows and a sliding glass door lead to a screened-in deck. 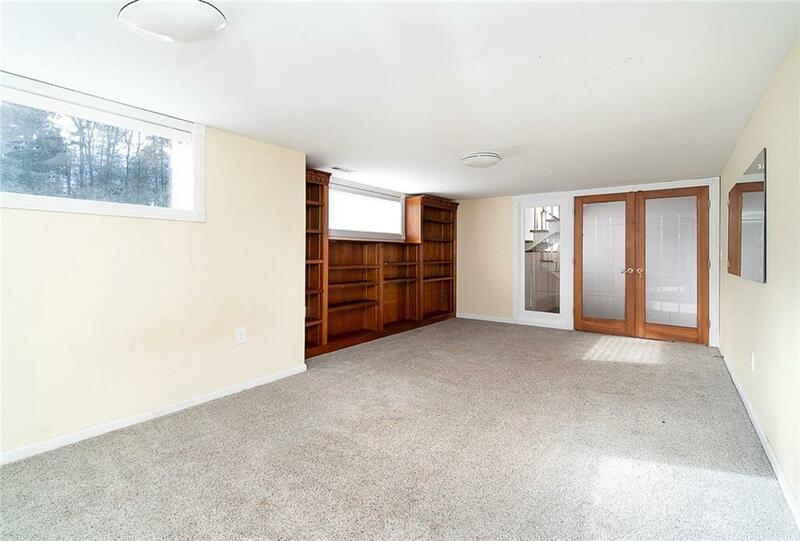 The walk-out basement level hardly feels like a basement. 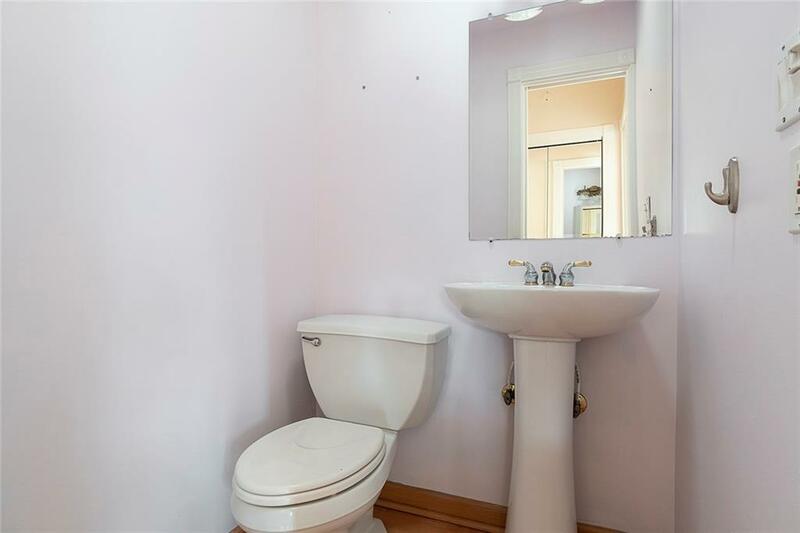 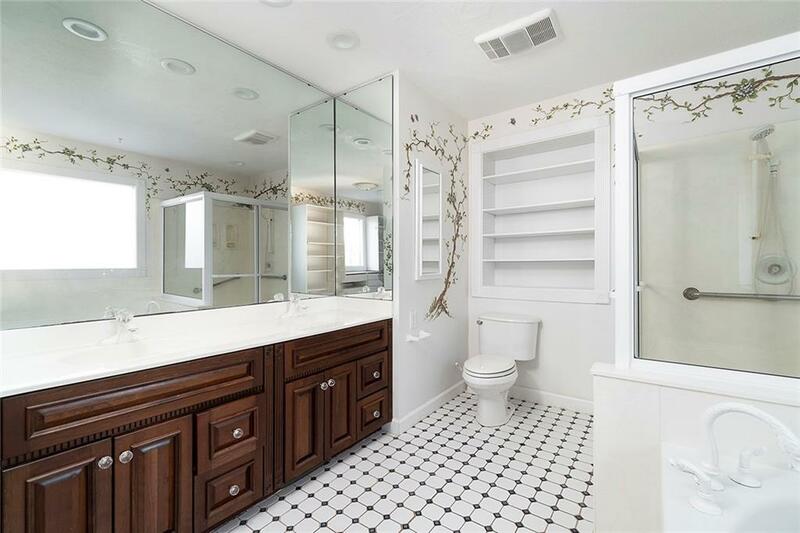 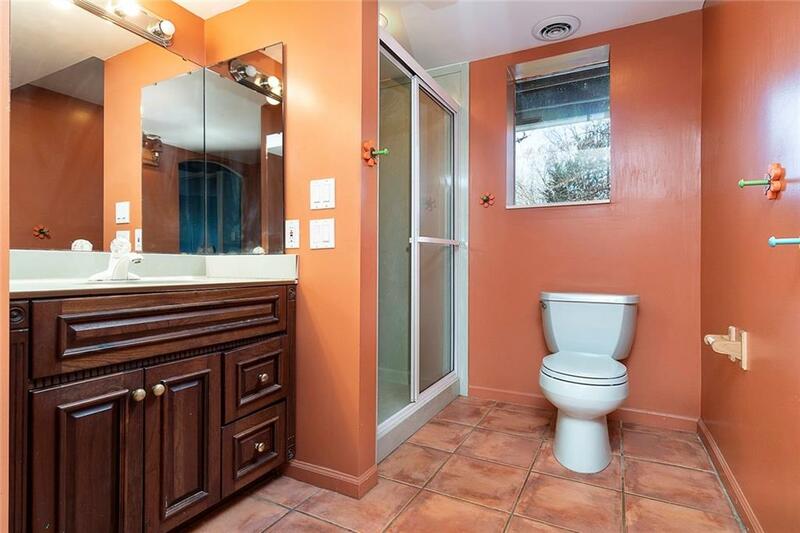 There is a tiled entry leading to a full bath and three carpeted rooms. 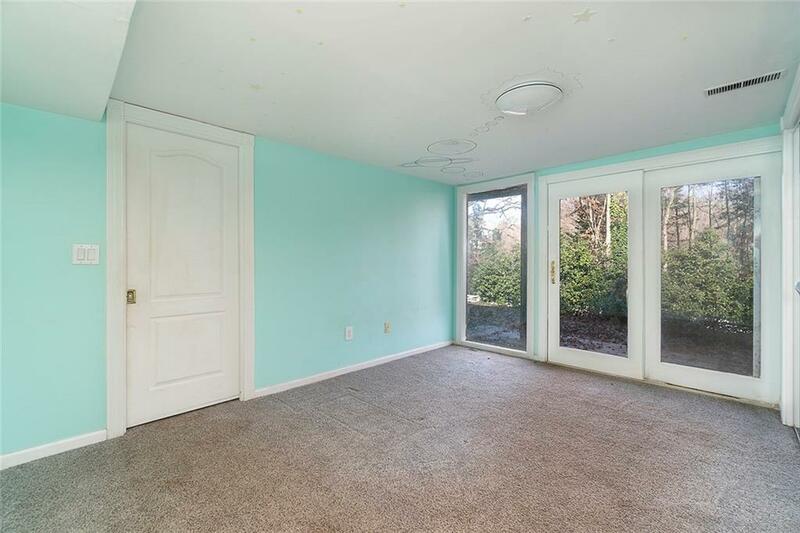 A large first bedroom area with mirrored closets and built in bookshelves. 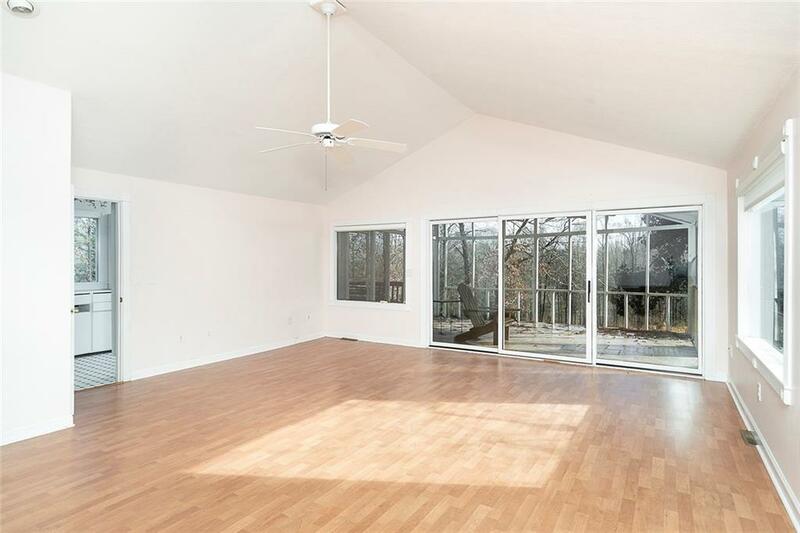 Two smaller bedrooms to the rear of the house look out to the pasture through floor to ceiling windows. 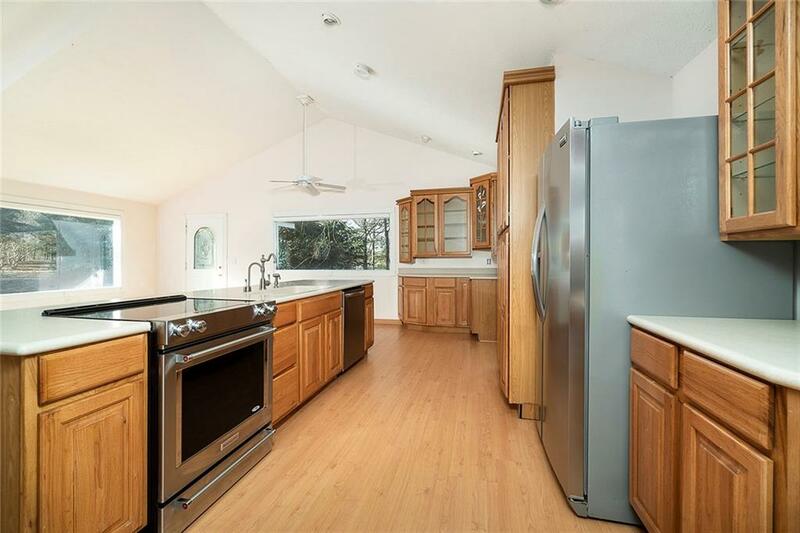 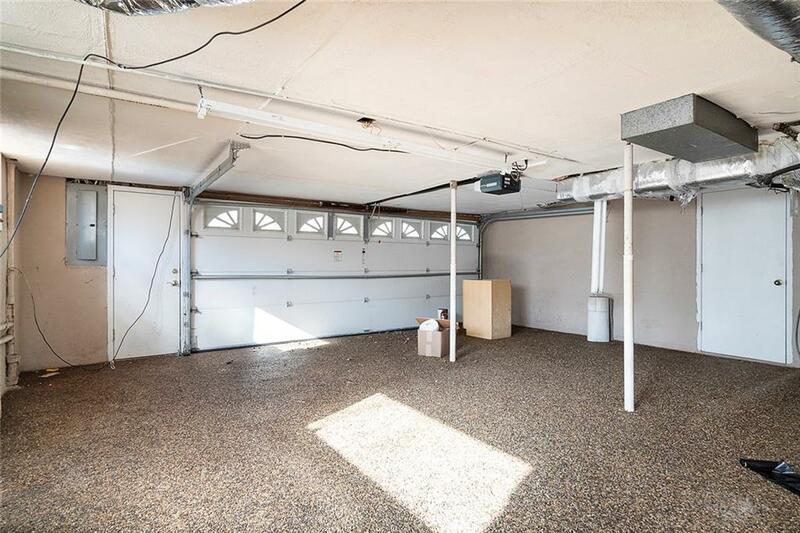 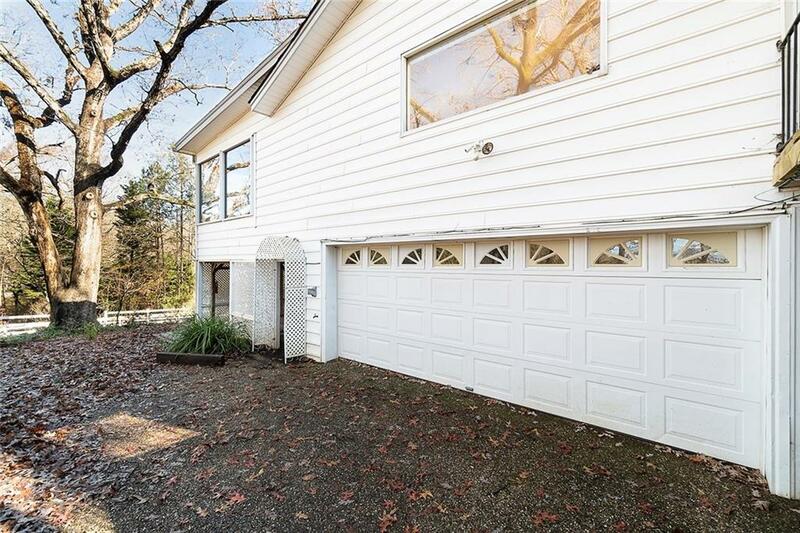 The other half of the lower level is a two car garage with plenty of storage, a laundry area and pebbled flooring. 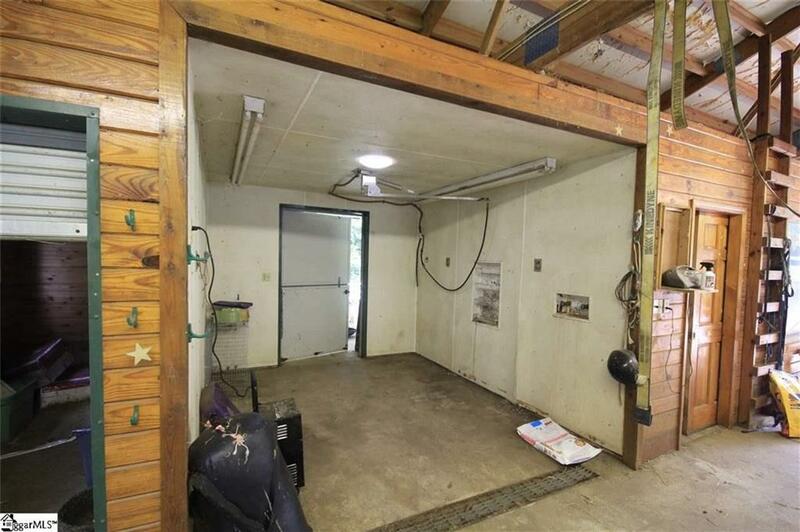 Finally there is the nearly hidden gem of the property. 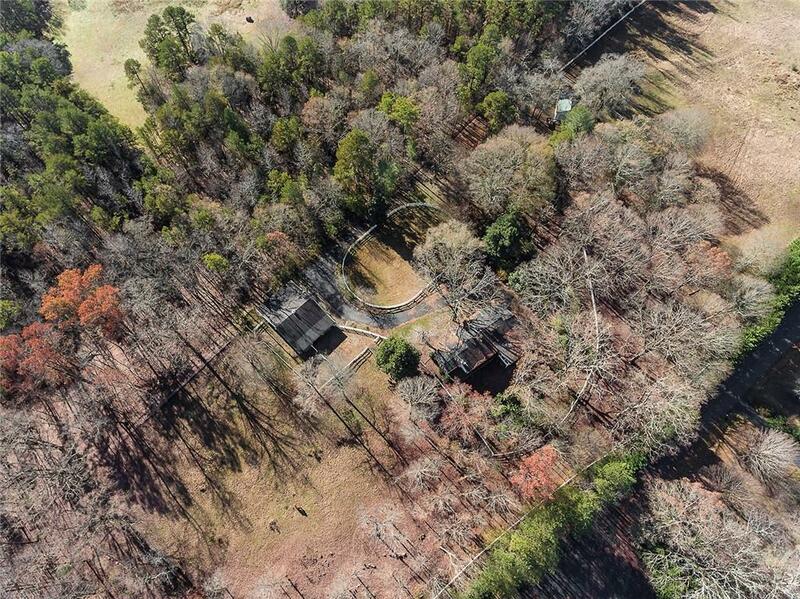 Down the hill from the house and stable a trail ends at a lovely meadow and a pond fed by a creek where fish and other wildlife make it their home.The roof was fully replaced in July 2018. 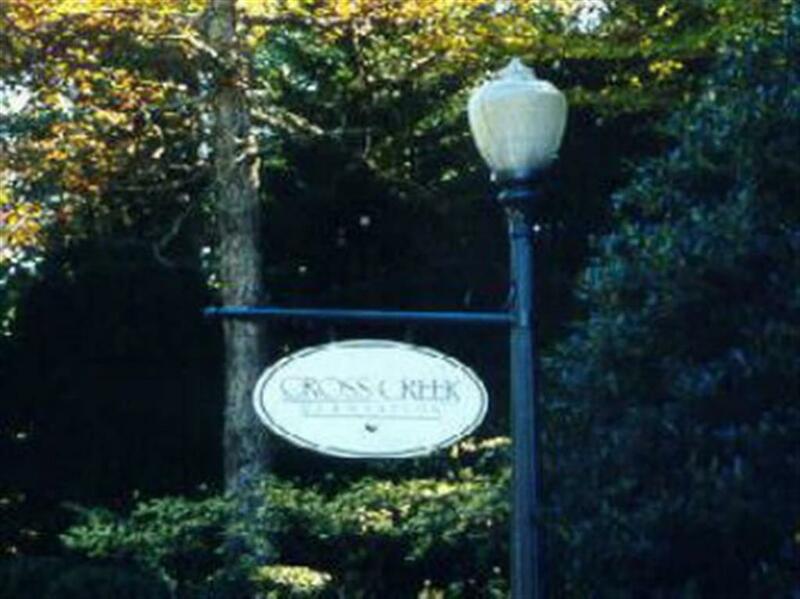 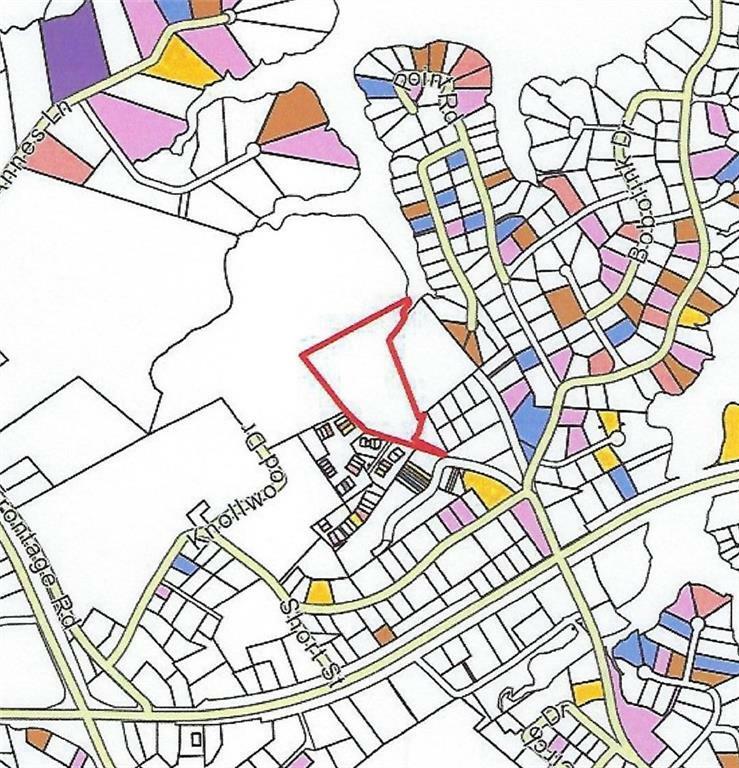 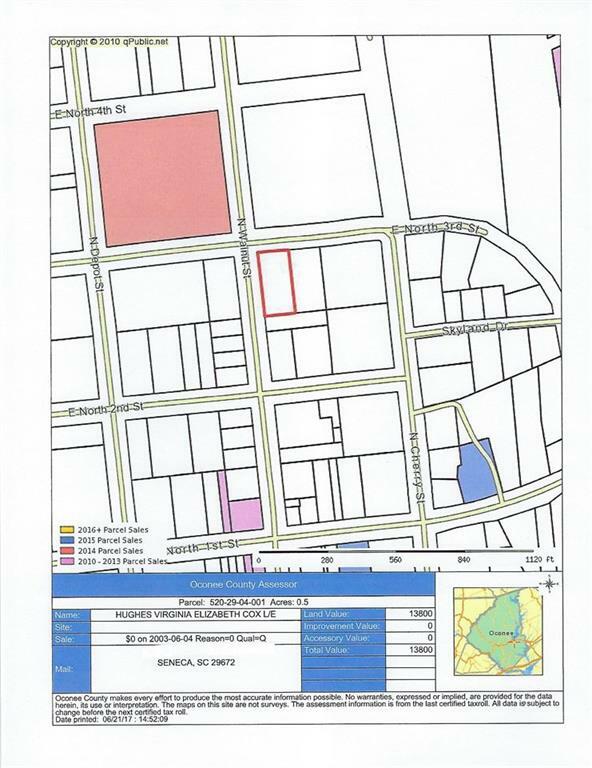 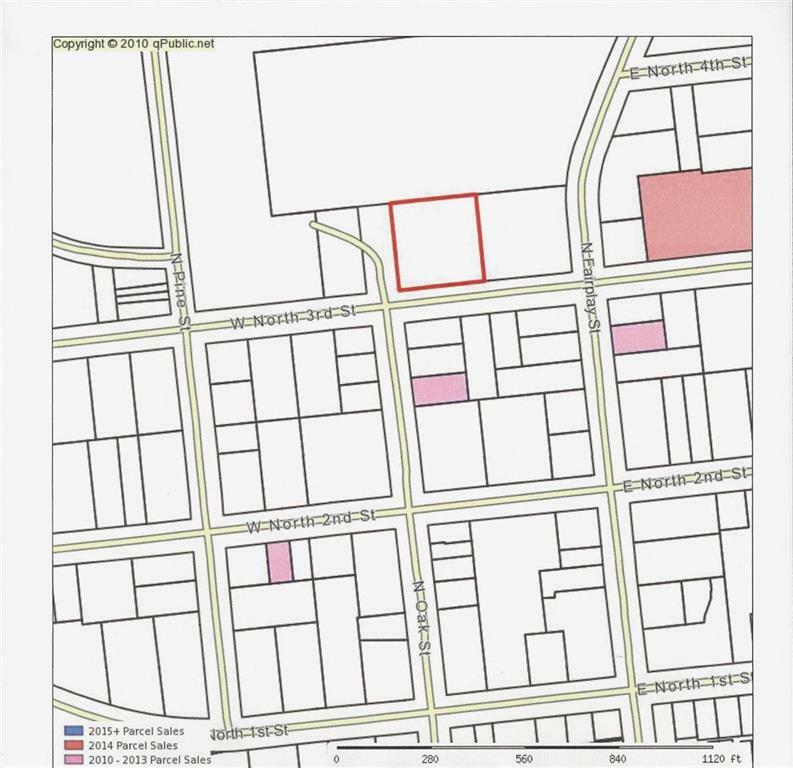 The property qualifies for USDA financing. 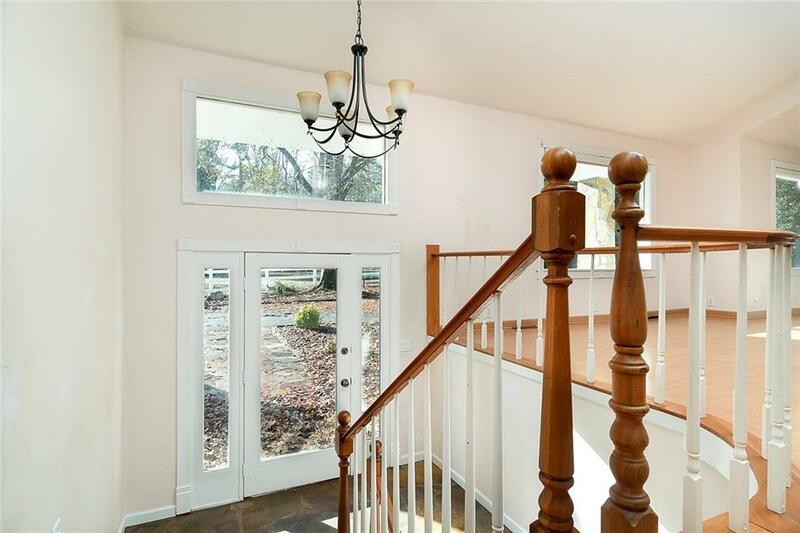 The property is only 5 miles from Clemson University and 1.2 miles from Daniel High School.Newly painted living room, downstairs bedroom wall and ceilings have fresh coats of paint too, entryway stairs newly varnished! 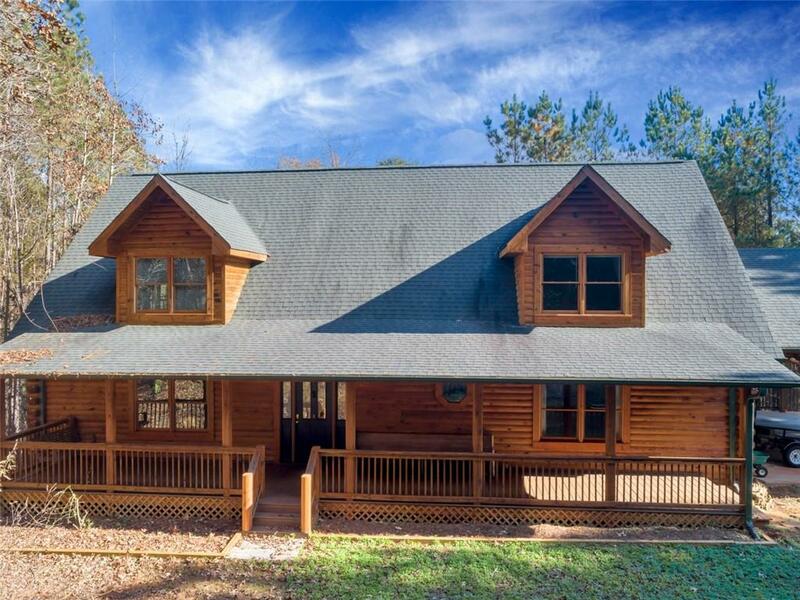 This home is ready for a family! 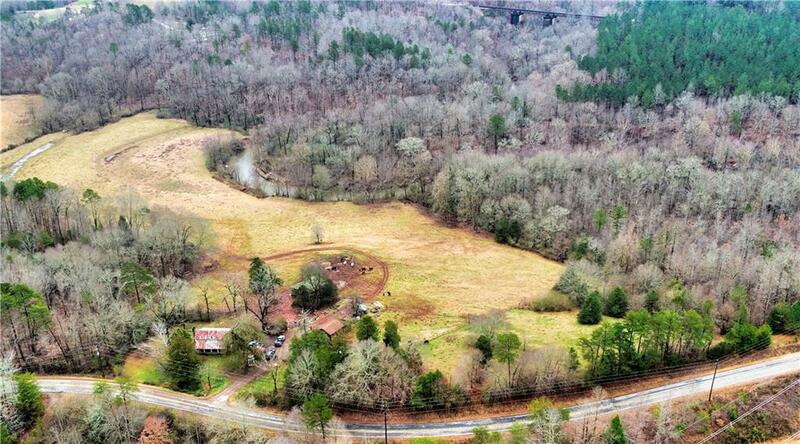 Courtesy of Nancy King of King & Co.